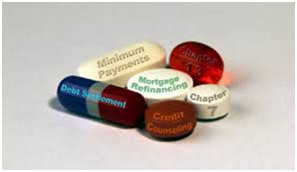 Debt Relief Solutions - Understanding All Your Options! Debt Relief Solutions – Understanding All Your Options! What Debt Relief Solutions are Available? Overwhelming emotions arise from debt, the feeling of anxiety and hopeless cause frantic behavior and choices. The urgency to have a clean slate causes rash decision making in regards to debt. There is a light at the end of the tunnel—your stress and anxiety can be relieved via the help of a debt analyst, because they offer debt relief solutions. It is highly recommended to research each solution carefully, compare and contrast the benefits before committing to a debt plan. Keep in mind that you are not the only one who is suffering from debt in our country—millions of Americans are battling with the concerns of debt. But you don’t have to face the fight alone with debt relief solutions. We offer a judgment free environment with the best and most compassionate advisors and analyst to help you. A Debt Settlement Program involves the debt relief agency negotiating with the creditor on behave of the debtor. The goal of the negotiation is to convince the creditor to allow the debtor to pay back a settlement instead of the full debt amount. This results in a lump sum that is less than the actual debt. Through debt settlement programs you must have a certain amount set aside to pay the creditor the amount upon the due date. Debt Consolidation is a plan that requires you to combine all of your debt into one debt. Debt consolidation usually requires an interest and points on your credit history. Unlike other plans, debt consolidation is less forgiving when a payment is late. 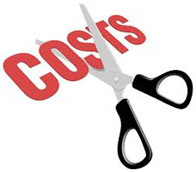 But unlike other debt resources debt consolidation can provide certain tax advantages. Debt Management is a formal agreement between the debtor and the creditor. It is any program that helps you manage, facilitates a payment option, and pays off your debt at a reduced level over a period of time. The plan offers to lower monthly payments to creditors and erase late fees on accounts. With the guidance and help of a skilled professional you can start to gain the knowledge and tools you need to control your finances and gain a debt free history. Why hesitate any longer on the path to debt recovery. Found out more about your options to get out of debt! The most helpful thing for me was the budge analysis! Have the help to understand budgeting was a dream!